If you're lucky enough to have an Xbox 360 and Windows Media Center I'm sure you've tried using your Xbox 360 as a Media Center Extender. 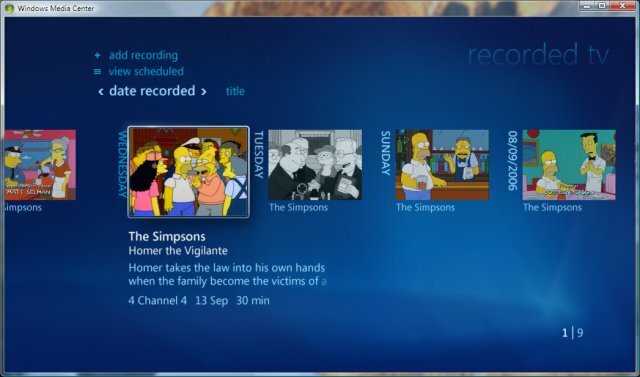 The functionality is cool but it's no replacement for XBMC (Xbox Media Center) on the original Xbox or a Good TV-OUT on your PC. The huge disappointment for me was the lack of DIVX/XVID support as most of my movies on my PC are in these formats due to the good compression.There's also no option to browse the web which seems a bit stupid as the functionality is essentially there. The aim of this tutorial is to include any information on ways to modify Windows Media Center to expand the funcationality of your Xbox 360. It is actually possible to (kind of) browse the web with your Xbox 360 and Windows Media Center. This can be achieved through the "More Programs" feature of Media Center. If you've ever taken a look at this feature you'll notice that it has a couple of programs in it that are basically windows applications e.g. Windows Messenger. It is possible to add new applications to this menu through the creation of an MCL file. An MCL file is basically an XML file that tells media center to open the chosen URL in the Media Center Browser rather than the Computers browser. By placing the MCL file in the correct directory on your Media Center PC it will show up in the "More Programs" menu on your Media Center and Media Center Extender. The MCL file contents below would open up the Google homepage in the Media Center Browser. The URL attribute is straight forward the bgcolor, startimage, and thumbnailImage are also self explanatory. Adding the MCL file to "More Programs"
Save your MCL file in this folder and copy any startimages into the startimages folder if you've referenced it for your startImage attribute. Now you are ready to browse the web (in a limited kind of way), do to media center from your Xbox 360 dashboard and navigate to the "more programs" menu. The option you created with your MCL file should now be visible, selecting it should make your Xbox browse to the web page. You'll need to close any "not meant for media center" messages. Now the downside, it's virtually impossible to click on any links etc. You can access the screen keyboard buy pressing the "Y" button and eneter text into text boxes e.g. the google search box. I think the best use for this is to access simple information pages e.g. sports scores, stock and share prices etc. I do hope I helped out some people here! 8) . All im trying to do is find ways of making xbox 360 a more powerful machine than it already is.